I’m pleased to announce the launch of my new course, Heroku for PHP. I love Heroku as a hosting platform, and there were no Udemy courses on how to use it with PHP. So, I’ve filled the gap. For a very reasonable $29.99. You can check it out here, and that link will save you an additional $10, too. If you want to use Apple Pay on your website, you need to serve a file from inside the .well-known directory. This is a nightmare. For a start, you can’t create a directory called .well-known on Mac. So you have to find another solution. mod_rewrite to the rescue perhaps? You may be able to get this working, but I couldn’t. I just got a 403 permission denied on Heroku. So I decided to try Alias instead. This was easy to configure on my localhost. I created a directory without the period and then used Alias to map it. To configure it in Heroku, I created a custom Apache configuration file. And then configured my Procfile to load this. So far, so good. Except this didn’t work either because I had not given the directory permission in the Apache config. So I expanded my custom config file. This got it working. However, it took my homepage offline. It seems that when you include a custom Apache configuration file, it knocks out the standard DirectoryIndex that Heroku has. Or, there is something else really obviously wrong that I am missing. That’s entirely possible, but I haven’t spotted it yet. And I did manage to fix it by adding in a new DirectoryIndex to my .htaccess file. Finally, you have Heroku serving the directory correctly. 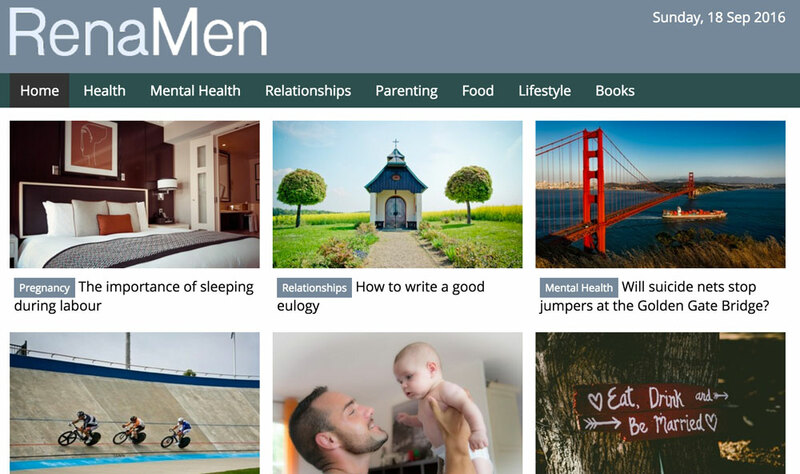 Recently I launched a new website, Rena Men. It is deployed onto the Heroku platform and does quite a bit of cool stuff, so I thought I would document what I have done here. It is implemented in PHP, using the Rauma framework. Rauma is a project I developed for Learn Finnish and subsequently open-sourced. Rena Men is built in several modules. There is a website, a content management system (CMS) and an image server. Because they use common functionality like the entity classes, there is also a shared library which is brought in as a Composer dependency. Each module is deployed onto the Heroku platform. This makes it really easy to do as I can roll out an update just using git push. The code itself is stored in a series of private repos on BitBucket, and the Heroku build process fetches them from there. In the case of the CMS, it also uses the Node build pack to run a Bower install. Third-party additions such as Bootstrap are pulled in on-the-fly just like we do with Composer dependencies. Heroku does not have SSH key integration for Bitbucket (it does for Github) so I’m using a ready-only account with Basic HTTP auth access. The database is provided by one of the Heroku app add-ons. The storage is provided by Amazon S3. Heroku is built in AWS, so that fits nicely. We store originals in the file system and then crop them on-demand using the image server. Because cropping images is expensive, the image server originally had a local file cache where it would store each crop. However, as Heroku has an ephemeral file system, you cannot write to it, so I had to turn that off in production. Instead, we’re using the AWS CloudFront CDN. This was super easy to implement. I just created the settings in AWS, pointed CDN subdomain at AWS and it started working. Like other web proxies, it caches your content based on the headers you send it.